Below is the rush transcript of "This Week" on November 9th, 2014. It may contain errors. ANNOUNCER: This Week, Republican wave: the new reality in Washington with the GOP set to take over the Senate. Can President Obama and congress really work together? The early signs of trouble and what this all means for 2016. New threat to the homeland: the potential ticking time bomb targeting everything from our water to our power. The arms race in cyber warfare. Obamacare under fire: the new Republican majority vowing to dismantle the president's signature accomplishment. But will the Supreme Court do it first? RONALD REAGAN, 40TH PRESIDENT OF THE UNITED STATES: Tear down this wall. ANNOUNCER: 25 years since the fall of the Berlin Wall, the touching tribute right now. GEORGE STEPHANOPOULOS, HOST: And we begin with that emotional homecoming overnight for the last two Americans held prisoner in North Korea. Kenneth Bae and Matthew Todd Miller touched down in Washington State on an air force jet. Their release secured when America's spy chief James Clapper hand delivered a secret letter from the president to North Korea's leader Kim Jong un. After hugs from his family, Bae reflected on two years in captivity. KENNETH BAE, RELEASED FROM NORTH KOREA: I learned a lot. I grew a lot. Lost a lot of weight in a good way, but I still am strong because of you. STEPHANOPOULOS: All of this happening as President Obama heads to Asia this week, leaving behind a capital shaken up by that mid-term election earthquake. The GOP now in solid control of congress, the president's team scrambling to salvage its final two years. And we're going to analyze all the fallout this morning beginning with Jon Karl at the White House. Good morning, Jon. JON KARL, ABC NEWS CORRESPONDENT: Good morning, George. The president departed overnight and will spend the next week on the other side of the world, seeking to redirect U.S. foreign policy towards Asia while here at home the new Republican leadership gets settled in. The president has already broken bread with congressional leaders, but he is off to a rocky start with Republicans. KARL: It was a lunch that brought no real breakthroughs and apparently no smiles either. The president acknowledged the message from Tuesday night's drubbing of Democrats was loud and clear. BARACK OBAMA, PRESIDENT OF THE UNITED STATES: The American people just want to see work done here in Washington. They'd like to see more cooperate and I think all of us have the responsibility, me in particular, to try to make that happen. KARL: But despite the election wave that swept Republicans in the control of the Senate. UNIDENTIFIED MALE: It's time for a new way forward. KARL: President Obama insists he'll still take executive action on immigration reform before the end of the year in defiance of Republicans in congress. OBAMA: If they want to get a bill done, whether it's during the lame duck or next year, I'm eager to see what they have to offer. But what I'm not going to do is just wait. KARL: And the White House says there's no backing down on that. Even before he's had a chance to sit down to talk with them about it, he is completely closed to the idea of delaying this executive action, not even willing to talk to them about delaying it. JOSH EARNEST, WHITE HOUSE PRESS SECRETARY: He's going to take that executive action before the end of the year. KARL: But Republican leaders warned if the president goes around congress on immigration, it will poison the well on virtually everything. REP. JOHN BOEHNER, (R) OHIO: When you play with matches, you take the risk of burning yourself. And he's going to burn himself if he continues to go down this path. SEN. MITCH MCCONNELL, (R) KENTUCKY: It's like waving a red flag in front of a bull to say if you guys don't do what I want, I'm going to do it on my own. KARL: So what issues show the biggest chances for actual agreement? There are bipartisan calls for action on trade, corporate tax reform, infrastructure spending and the Keystone Pipeline. And despite their track record, President Obama and Republicans showed some signs they may be ready to turn the page. MCCONNELL: And just because you have divided government doesn't mean you don't accomplish anything. OBAMA: I would enjoy having some Kentucky bourbon with Mitch McConnell. So I think we can have a productive relationship. KARL: For Democrats, Tuesday was certainly a drubbing, but it's hardly unprecedented. In fact, going all the way back to World War II, all four presidents who served two full terms faced a congress controlled by the opposing party for their last two years -- George. STEPHANOPOULOS: That is what happens. OK, Jon, thanks very much. Overseas, the president finds himself in a position he did not anticipate, certainly did not want, sending more troops to Iraq. The White House announced Friday was doubling the number of troops in the fight against ISIS. And ABC's chief global affairs correspondent Martha Raddatz is on that story. MARTHA RADDATZ, ABC NEWS CORRESPONDENT: Doubling down against ISIS in Iraq. First it was 300 troops on the ground to protect diplomats, growing to almost 1,600 train and advice, now up to 3,100 approved. Not to mention hundreds of airstrikes, including these on the besieged town of Kobani this weekend. So what will these troops do? Outside Irbil and Baghdad, two expeditionary operation centers will be built to advise and assist Iraqi and Kurdish forces. And at least four additional training sites will be set up in the volatile north, south and al Anbar Province in the West. The White House insists these are not combat troops, but that is some hot territory, ISIS strongholds, no question they'll be in more danger. And Americans in Iraq will get, quote, an appropriate array of force protection capabilities, which will likely mean attack helicopters. Matt Bradley (ph) has been reporting on the ground in Iraq for 18 months. We spoke to him on Skype from Baghdad. MATT BRADLEY, JOURNALIST: Most Iraqis know that the Obama administration is going to stick to the commitment that it's made to not deploy these troops into a wartime scenario. But they do see this as one more step towards the inevitable. There has to be U.S. troops on the ground, because the Iraqi military is simply incapable of fighting the Islamic State. RADDATZ: And this week, President Obama saying he'll ask for even more support from congress. OBAMA: I'm going to begin engaging congress over a new authorization to use military force against ISIL. SEN. JOHN MCCAIN, (R) ARIZONA: We need to understand that the president is the commander-in-chief and that role I do not believe should be impinged upon by the congress. RADDATZ: ...the president just might get his wish. STEPHANOPOULOS: Thanks to Martha for that. And we're joined now by Republican Congressman Darrel Issa, chair of the House oversight and government reform committee. Thank you for joining us, congressman. Are you prepared to vote for an authorization of this mission in Iraq? REP. DARRELL ISSA, (R) CALIFORNIA: I am, George. I was just in both Baghdad and Irbil in addition to six other nations in the Middle East between August -- and Irbil just a few weeks ago. The fact is we're already there. We've had to be there. The government in Baghdad is still quite delusional, if you will, about what the real impact is. They're still talking about long-term training before they're ready to fight. So the fact is that if we're to protect the gains we made against Islamic extremism, my marines from Camp Pendleton and others are going to have to go back again. STEPHANOPOULOS: They're going to go back. Should they be in a combat position? ISSA: Iraqis should fight for their country. There's no question at all. They've been trained and they should do it. The fact is the Kurds are willing to do it. I have no doubt whatsoever that the Kurds will fight. And all they need is our air support and our technical know how and they will do it. When it comes to the Sunni-Shia divide that the Maliki government created, it makes it very, very hard to put together the kind of military units that they should have. That remains to be seen of whether or not the substantial portion of that 800,000 people we trained are willing to fight. The fact is by the time they started fleeing, we were down to a quarter of a million. And when I met with the government they said, well, we have about 8,000 who will fight. I think they have to do better. STEPHANOPOULOS: Let me turn to the broader issues facing the president and congress in these next couple of years. The president is making it very clear he's going to act on immigration on his own before the end of the year. What are the consequences? ISSA: Well, the consequences are lost opportunities. In the last congress, I authored the skills visa act that not only would have allowed and promoted the best and the brightest being allowed to remain here and add to our economy, these STEM, if you will, graduates, but it scored $100 billion of new revenue to the government that can be paired with other immigration reforms. And if the president is willing to work with us in the House and the Senate we could make that happen. STEPHANOPOULOS: If not, shutting down the government? ISSA: I'm not predicting what the result will be other than in my 14 years on judiciary and the work I've tried to do on immigration, time and time again people have missed opportunities. The fact is our farmers in California need an effective worker program. The reality is that we send home to foreign countries the best and the brightest from around the world when in fact they'd like to stay here and add to our economy. We need to work together to solve both of those problems. I'm hoping the president will delay and have a real comprehensive discussion about what's possible because a great deal is possible on immigration reform. STEPHANOPOULOS: Well, let's see if he takes your advice. Congressman Issa, thanks very much for your time this morning. STEPHANOPOULOS: Now to that major new threat targeting our nation's critical infrastructure. We learn this week that hackers have broken into the computers controlling our utilities, the lifelines for water, gas and power. Our experts here to weigh in on the dangerous consequences and what can be done to prevent them after this from ABC's senior justice correspondent Pierre Thomas. UNIDENTIFIED FEMALE: The FAA just issued a critical alert. The entire network went down. PIERRE THOMAS, ABC NEWS CORRESPONDENT: In the movie Live Free or Die Hard, hackers are able to shut down the nation's power grid and transportation networks. That kind of dramatic threat may not just be the stuff of Hollywood fiction, but in fact closer to reality than you think. Sources tell ABC News, hackers from overseas secretly planted malicious software inside computer systems serving our nation's most important services and industries: water treatment facilities, power plants, gas pipelines -- all critical for daily life, now potentially at risk. (on camera): Authorities believe this electronica Trojan horse was inserted into computer systems years ago, but has not been activated. They've given this malicious code an ominous name -- black energy. (voice-over): In theory, black energy could allow a hacker to turn off a generator, flood a water treatment plant or shut down a gas pipeline. The threat is ongoing. ABC News obtained a new Homeland Security bulletin that warns utility owners and operators to look for signs of compromise and to report any suspected intrusion immediately. U.S. officials are worried because they have hard evidence that such a cyber attack is possible. In this test, government hackers forced this generator to self-destruct with a series of simple key strokes. Watch. The generator is literally shaking itself apart. As for black energy, the primary suspects, operatives tied to the Russian government and sources say it resembles malicious software used in recent attacks on NATO and unclassified White House computer systems. It may all point to the beginning of a new cold war, with the Internet as part of the battlefield. UNIDENTIFIED MALE: Terrorism is still the number one national security threat. But we've seen cyber grow at an -- at an alarming rate. And the threat that we face, the number of actors, the number of breaches, this is a real problem. THOMAS: It's a new world where threats you cannot see can reach out and touch you. We're joined now by ABC News contributor, former White House counterterrorism adviser, Richard Clarke, and Democratic Congressman Jim Langevin from the Armed Services Committee. And Richard, let me begin with you. Since you've left the government you've devoted a lot of time and study to the threat from cyber attacks. And you've concluded that we're a lot more vulnerable now than we were then? RICHARD CLARKE, FORMER WHITE HOUSE COUNTERTERRORISM ADVISER: I think that's right. I think nation states have been building cyber armies, cyber commands, including the United States, and there's probably a half dozen nations around the world that have already put these logic bombs in each other's networks, not that they're going to use them, unless they go to war. STEPHANOPOULOS: But that's what I don't understand. So -- so explain that a little bit, this black energy malware, which is now in our systems, we believe. CLARKE: Well, because you won't be able to get in when you can get in, that may be that if you wait, it will be too late to get in, new defenses will be created. You want to have the ability to push a button when the war starts and bring the enemy to his knees. And so most modern nations now have tried this with their potential enemies. STEPHANOPOULOS: And, Congressman, you know, the federal government has also studied these threats to the power grid and showing the vulnerability of our power grid, attacks on a small number of transmission stations could create a coast-to-coast blackout, larger scale attacks could cause the whole power grid to collapse. REP. JIM LANGEVIN (D), RHODE ISLAND: It is -- it is very serious and I've been talking about this for a number of years, going back to about 2007 when I chaired the Homeland Security subcommittee that had jurisdiction over cyber security. And we did a deep dive on this, looking at how vulnerable critical infrastructure is, in particular, how vulnerable our electric grid is. And we found that it's very vulnerable. STEPHANOPOULOS: So what could happen? LANGEVIN: Idaho National Labs actually did that study that showed that the -- the generator, through a skater (ph) attack, that's a SCADA attack, that's a Systems Control and Data Acquisition System attack, could be used to cause a generator or a number of generators, to blow themselves up. And you could see a whole sector of the country without electricity for a period of not just days or weeks, but potentially months, because these generators are -- are large. They're not just like batteries that are sitting on a shelf that you can, you know, take one out and plug another one in. These generators take months to build, ship and install. STEPHANOPOULOS: So Richard Clarke, what can be done to prevent that? CLARKE: Well, very little. The thing here to really bear in mind is this is not about to happen. We have nuclear weapons. We haven't used them. We have cyber weapons and we've seldom used them. The United States did do a cyber attack on Iran and destroyed some nuclear centrifuges. But this is a contingency and it's very unlikely that it will be used by nation states. The real worry is that eventually, non-state actors, maybe even terrorist groups, will gain those capability. STEPHANOPOULOS: Is that the real threat, Congressman? LANGEVIN: You know, just -- yes, it is the real threat. And Richard hit it right on the point right now. Right now, these -- these worst weapons and cyber weapons are in the hands of nation states who have the capability but not necessarily the will to use them. But then you have groups like ISIL or al Qaeda, that certainly would have the intent, but not the weapons. And that -- that gap, that divide, if you will, seems to be becoming much more narrow and eventually the worst actors will have the worst weapons and they potentially will use them against us. I've been trying to raise the alarm on this, as Richard has been, to try to close that aperture of vulnerability. This is not a problem that we're ever going to be -- that we're ever going to solve. It's one that we need to manage. We need to close the aperture of vulnerability to something that is much more manageable. So what we need to do in Congress is pass an information sharing bill. That bill passed and was unanimous out of the House Intelligence Committee, on which I sit. It passed the House with strong bipartisan support. And now we're waiting for the Senate to take it up. That would allow classified threat information to be passed to the private sector and for the private sector to pass the -- the threats or the -- the attacks that they're experiencing back to the government so that information could be more widely shared. LANGEVIN: You also need stronger regulatory control. STEPHANOPOULOS: Thank you both for your time this morning. Coming up, a surprising decision from the Supreme Court on ObamaCare. Is Chief Justice John Roberts about to reverse course and strike down the heart of the law? Plus, one of election day's big new stars joins us live. The roundtable weighs in on what it all means for 2016. STEPHANOPOULOS: The new Republican majority is vowing to dismantle ObamaCare. But in a surprise move on Friday, the Supreme Court signaled it could do that on its own -- a decision the president could not undo with his veto pen. ABC's Terry Moran explains in our Closer Look. BARACK OBAMA, PRESIDENT OF THE UNITED STATES: We are done. MORAN: -- The Affordable Care Act, ObamaCare, has survived one near death experience after another, none more dramatic than the Supreme Court's 5-4 decision to uphold the law in 2012. Now, ObamaCare is once again in the judicial and political crosshairs. House Speaker John Boehner made that crystal clear after the Republican midterm stampede. REP. JOHN BOEHNER (R-OH), SPEAKER OF THE HOUSE: The House, I'm sure, at some point next year, will move to repeal ObamaCare because it should be repealed. It should be replaced. MORAN: But that idea is likely going nowhere. President Obama, who wields a veto power that would be tough to override, said he'd fight to save his biggest achievement. OBAMA: Repeal of the law I won't sign. Efforts that would take away health care from the 10 million people who now have it and the millions more who are eligible to get it, we're not going to support. MORAN: And now, the Supreme Court will weigh in again, this time drilling deep into the dense detail of the law, where opponents say there is a fatal flaw. Those subsidies to help millions of Americans buy insurance, opponents say the law clearly states they must come through state insurance exchanges. But dozens of states refuse to set up those exchanges. So the Obama administration provided the subsidies on the federal insurance exchange, too. And that, opponents say, is illegal. But supporters, including the law's authors, they say Congress always intended that subsidies should be available to every American who qualifies for them. The stakes couldn't be higher. Millions of Americans would lose health care and ObamaCare itself collapse if the court rules against the administration. So the fate of this law and of President Obama's legacy could once again come down to a single vote on the Supreme Court, Chief Justice John Roberts. For THIS WEEK, Terry Moran, ABC News. To talk about this now, Jonathan Cohn, senior editor of "The New Republic," that magazine marking its 100th anniversary this month; and Carrie Severino of the Judicial Crisis Network and "National Review" online. And Jonathan, let me begin with you. You wrote in "The New Republic" on Friday that this decision is alarming -- why? JONATHAN COHN, SENIOR EDITOR, "THE NEW REPUBLIC": Well, it's alarming because if four justices have said they want to hear the case, there's a chance that it could go forward. And I think it's important to recognize what we're talking about here. This is an attempt to repeal the law effectively take insurance away from four, five, several million people in 36 states, because of what is basically a typo. Legislation is complicated. There's this one passage that the opponents have seized upon. STEPHANOPOULOS: A typo, Carrie Severino? CARRIE SEVERINO, JUDICIAL CRISIS NETWORK: Absolutely not. Even the architect of the law -- we're talking about this -- the section was designed to ensure that the states do participate. The states, however, saw that this was a mess. There's 36 states that say we don't want to have to do with implementing ObamaCare. So they didn't set up exchanged. The law couldn't be clearer. It says exchanges established by a state and that changing that to exchanges established by the federal government, that's not interpretation, as the district court said in this case; that's distortion. STEPHANOPOULOS: Jonathan, how do you explain that? Is the plain meaning of the word state a state, isn't it? COHN: Well, if you read that one clause and in the passage of the law, it says state. And of course state was used in many different respects throughout the law. And if you read the rest of the law, it is very, very clear that the expectation was that everybody could get subsidies. To read that passage of the law that way would basically trade what is a law that would be at war with itself. It's inconsistent with the way the Congressional Budget Office evaluated the law. It's inconsistent with memos and three things that were given at the time of the law. And you don't have to take my word for it. The members of Congress who voted for this, the congressional staffers who wrote this, if you ask them now, they all say, of course we meant for everybody to have the subsidies. That was the whole point. STEPHANOPOULOS: So it depends on whether you look at the text or the history. But Carrie, as Terry said in his piece, this is likely to come down to Justice -- Chief Justice John Roberts. He upheld the law the first time around. Do you believe he wants to reverse himself? SEVERINO: I think the challenge here is that the law is very clear. Sure, maybe Congress members didn't realize that states weren't going to play ball. They thought dangling this carrot was going to be enough to get all the states to get on board. But this law's a mess. The American people have rejected it. I think that's why the states didn't want to get involved. And I think you'll see the court is going to want to hold Congress to the words that it signed and that it passed and the president signed the text of the law is very clearly what it is. STEPHANOPOULOS: So you think the court is going to strike you down, Jonathan Cohn, 15 seconds, do you agree? COHN: I don't. I think this would be a remarkably political move by a Republican court basically doing for the Republicans what they can't do legislatively, which is to take insurance away from millions of people who are getting it from this law; which, by the way, is working and working pretty well. STEPHANOPOULOS: Well, we will find out in June. Carrie Severino, Jonathan Cohn, thanks very much. Up next, Senator-Elect Cory Gardner, he flipped Colorado for the GOP. Can he change Washington, too? Plus which presidential hopeful from the Republican side got the biggest boost from the midterms? Was Hillary helped or hurt? That's all coming up in just two minutes. GARDNER: As Republicans in Colorado, we’ve gotten used to the saying, wait until the next election. Well, I’ve got news for you. That next election, it finally happened. STEPHANOPOULOS: And that is the new Republican senator from Colorado, Cory Gardner, riding a big smile and skillful campaign to a big win in that battleground state that President Obama won twice. Senator-elect joins us from Colorado this morning. Senator, thank you for joining us this morning. So give me a headline sentence. What was the message the voters were sending Tuesday night? GARDNER: That what’s happening in Washington, D.C. is not working. It’s not as much about Republicans or Democrats as it is about the fact that the direction, the policies of Washington aren’t working for the people of this state or this country. STEPHANOPOULOS: So how do you fix it, coming right out of the box? GARDNER: Well, you have to fix it right out of the box, I believe, by working together, Republicans and Democrats, putting ideas forward on the president’s desk, ideas that the broad majority of American people support, and showing that we can govern. I think it’s important that Republicans show that we can govern maturely, that we can govern with competence. And if we do that, in two years from now, we’ll have a good result again with our nominee. If we don’t, we’ll see the same results two years from now, but in a different direction. STEPHANOPOULOS: Does that include repealing Obamacare or going for something the president can sign first? GARDNER: I do think we need to repeal and replace Obamacare, but the president named Obama is not going to repeal a bill named Obamacare. And so let’s put on his desk things like repealing the medical device tax, making sure that we can repeal the IPAD board. These are things that have bipartisan support. Restore the 40-hour workweek. These have bipartisan support, and it shows the American people that we are serious about our intention to govern. STEPHANOPOULOS: And does that mean taking things like shutting down the government off the table? GARDNER: Well, the government shutdown is a bad idea anytime, anywhere. STEPHANOPOULOS: And we saw the president -- we know there’s going to be a showdown coming on immigration as well. The president reiterating that he’s prepared to go it alone to provide more protections for undocumented immigrants now in the country. What does that mean for cooperation and how will Republicans in the Senate and the House respond? GARDNER: I hope that the immigration reform effort by the House and the Senate will gain speed and momentum. I supported immigration reform and believe we need to go there, but the question is this: Will the president do the right thing? And I think the president will do the right thing when it comes to immigration reform. And that is working with the House and the Senate instead of going around the House and the Senate. STEPHANOPOULOS: So you don’t believe him when he says he’s going to issue that executive order? GARDNER: Well, again, I hope the president does the right thing. Now, the president -- I haven’t seen the executive order, I don’t know what it’s going to do, but I hope the president and encourage the president to do the right thing, and that is to work with the House and the Senate on a solution. Because whatever the executive order is, if he does indeed do that, will not be the kind of changes and reforms that we need to the overall immigration system. So let’s do the right thing, let’s work together. STEPHANOPOULOS: Finally, Senator, you won in a state, as I said, President Obama won twice. What is the memo you’re going to write to the Republican candidate in 2016 to say this is how you win in Colorado? GARDNER: You have to have an optimistic message. That you have to have a vision for the state, for the country that people are drawn to. We talked about growing the economy. We talked about energy independence. But more than anything, in this Rocky Mountain state, people want to be able to lift their eyes up to the great Rocky Mountain horizon and recognize the fact that we have an ever-hopeful state, and that’s the kind of message that we had to capture to make sure that people were proud again and to make sure that we can build toward a government that we can be proud of. STEPHANOPOULOS: Congratulations, Senator, we’ll talk to you again soon. GARDNER: Thank you very much. UNIDENTIFIED MALE (voice-over): We came short on keeping our Republican majority in the Senate. Now this is not the outcome we sought, but our agenda remains unchanged and I look forward to its attainment. UNIDENTIFIED MALE (voice-over): And I accept my share of the responsibility in the result of the elections. I think that the Republican congressional leadership -- and -- will at least have the chance to work with us. I'm going to do my dead level best to do that and to be less partisan. UNIDENTIFIED MALE (voice-over): This is a close election. The -- if you look at it race by race, it was close. (INAUDIBLE) however was not too close. It was a thumping. STEPHANOPOULOS (voice-over): And every president has to take their medicine after the midterms. Let's talk about that and more on our powerhouse roundtable, joined by Democratic strategist Donna Brazile; Greta Van Susteren from FOX News; the editor-in-chief of BuzzFeed, Van Smith and from Bloomberg Politics, John Heilemann and Mark Halperin, the author of those political bestsellers "Double Down" and "Game Change." And Mark Halperin, the president was not going to use the word shellacking this time around like he did in 2010. What word could he have used? HALPERIN: -- it was a horrible day for the Democrats; the governors' races, the Senate races, the state legislators. And I think right now is a snapshot. The Republicans have problems, too, but it's a snapshot for Tuesday, President Obama is a spent political force and the Democratic Party either needs to be and to have the faith in their convictions and what the president's accomplished, or they need to find another way. White men, older voters, Southern voters, this is a party right now that doesn't have a 50-state strategy for winning the term election. STEPHANOPOULOS: And the top correspondent for "The Washington Post," Dan Balz, called it "a hollowed-out Democratic Party" this morning. I want to put up a map that shows how much territory in the House now Republicans are controlling. You see all that red right there, Donna Brazile. And as Mark Halperin just alluded to, Democrats have lost more than a dozen senators since President Obama took office and more than 5 dozen members of Congress. They won't have any of the big states except for New York and Pennsylvania's governors, barely controlling 30 state legislators. This is a hollowed-out party. DONNA BRAZILE, VICE CHAIRWOMAN, DEMOCRATIC NATIONAL COMMITTEE: It is a very tough reality, George, and I wish this was Bourbon, but of course, you don't serve it in the morning. It was a crushing defeat. But you know, I don't cry after Election Day. I think the important thing is that the Democratic Party has to look at what happened. We didn't have a message. We didn't turn out our voters. We had old, recycled ideas that, yes, voter support raising the minimum wage, that's not an economic plan for the future. STEPHANOPOULOS: -- deliver a much more bracing analysis than anything we've heard from the president and the White House. GRETA VAN SUSTEREN, FOX NEWS HOST: Oh, absolutely. In fact (INAUDIBLE) Democrats would vote for her right now than for the president. But, no, the president said he didn't have a -- that the Democrats didn't have a good night. That's what he said. And that meant that it was more like a horse race, a scoring. It wasn't that they have rejected what it is that Democratic policy -- Party had to serve up. Now the Republicans weren't offering much, either. I mean, there was not a big Republican agenda out there. This was clearly a rejection of the Democratic agenda, a rejection of the president's policies. But he's calling it more like a sporting event. And event Chairman Wasserman Schultz said we didn't have a good night. There's no realization that, no, we're not giving the voters what they want. VAN SMITH, BUZZFEED: They do understand that would be a massive break with (INAUDIBLE) every party takes the most recent election results of this, you know, as a mandate and very often strengthens their conservative, more liberal wing. And I do think what Greta said about in public and private the White House just not giving any quarter here, not seeing this as really a reason to do much different. STEPHANOPOULOS: The thing you should look at, though, John Heilemann, is that the final results, so much more sweeping than anyone thought even going into Election Day. JOHN HEILEMANN, BLOOMBERG TV HOST: No doubt about it. But there is -- there is -- this is a replay in a lot of ways of 2010. And then we remember what happened in 2012. I mean, to me, one of the things and the reason I think Democrats have a little bit something to hope for is the fundamental reality. STEPHANOPOULOS: But you did see some Democrats, like Cory Gardner's going to come up soon, start to pick up in Colorado, Greta Van Susteren, got a little bit better with Hispanic vote, a little bit better with the younger vote. VAN SUSTEREN: Yes, but I think he's right, though, about the two Americas. And now here I am, quoting Senator John Edwards. There are the Democratic Party expected that other Americans to come out and vote for them. But the Democratic Party has not delivered to them. STEPHANOPOULOS: We have a lot more to come. Quick break now. Back with more roundtable and, as I said, Republicans like Cory Gardner. And our "Sunday Spotlight" marks today's 25th anniversary of the fall of the Berlin wall, which inspired today's "Powerhouse Puzzler": which American musician performed the biggest concert ever on the other side of the wall in East Berlin? The year was 1988. Bonus parts if you can name the famous song he covered. We're back in less than two minutes with the answer. I gave another clue there; I said "he". STEPHANOPOULOS: So which American musician had the biggest concert ever in East Germany 1988? The Boss, the Boss -- all three of you guys are right. STEPHANOPOULOS: Nice try, Bennett Smith (ph). OK. What did he play? STEPHANOPOULOS: Look at that, (INAUDIBLE) in 1988. GARDNER: As Republicans in Colorado, we've gotten used to the saying, wait until the next election. Well, I've got news for you. That next election, it finally happened. GARDNER: That what's happening in Washington, D.C. is not working. It's not as much about Republicans or Democrats as it is about the fact that the direction, the policies of Washington aren't working for the people of this state or this country. GARDNER: Well, you have to fix it right out of the box, I believe, by working together, Republicans and Democrats, putting ideas forward on the president's desk, ideas that the broad majority of American people support, and showing that we can govern. I think it's important that Republicans show that we can govern maturely, that we can govern with competence. And if we do that, in two years from now, we'll have a good result again with our nominee. If we don't, we'll see the same results two years from now, but in a different direction. GARDNER: I do think we need to repeal and replace Obamacare, but the president named Obama is not going to repeal a bill named Obamacare. And so let's put on his desk things like repealing the medical device tax, making sure that we can repeal the IPAD board. These are things that have bipartisan support. Restore the 40-hour workweek. These have bipartisan support, and it shows the American people that we are serious about our intention to govern. STEPHANOPOULOS: And we saw the president -- we know there's going to be a showdown coming on immigration as well. The president reiterating that he's prepared to go it alone to provide more protections for undocumented immigrants now in the country. What does that mean for cooperation and how will Republicans in the Senate and the House respond? STEPHANOPOULOS: So you don't believe him when he says he's going to issue that executive order? GARDNER: Well, again, I hope the president does the right thing. Now, the president -- I haven't seen the executive order, I don't know what it's going to do, but I hope the president and encourage the president to do the right thing, and that is to work with the House and the Senate on a solution. Because whatever the executive order is, if he does indeed do that, will not be the kind of changes and reforms that we need to the overall immigration system. So let's do the right thing, let's work together. STEPHANOPOULOS: Finally, Senator, you won in a state, as I said, President Obama won twice. What is the memo you're going to write to the Republican candidate in 2016 to say this is how you win in Colorado? GARDNER: You have to have an optimistic message. That you have to have a vision for the state, for the country that people are drawn to. We talked about growing the economy. We talked about energy independence. But more than anything, in this Rocky Mountain state, people want to be able to lift their eyes up to the great Rocky Mountain horizon and recognize the fact that we have an ever-hopeful state, and that's the kind of message that we had to capture to make sure that people were proud again and to make sure that we can build toward a government that we can be proud of. STEPHANOPOULOS: Congratulations, Senator, we'll talk to you again soon. STEPHANOPOULOS: Relentlessly optimistic Cory Gardner right there, Greta Van Susteren. But he also set a standard right there. He said Republicans the next years have to show they can govern. Can Speaker Boehner, Mitch McConnell do it? VAN SUSTEREN: Well, they've got to -- they've said that they're going to do it. So they'd better do it. Now here's the instant issue, though, is what they passed, will it then when it goes to the president, it's going to be so untenable to the president he then vetoes it and it creates even bigger -- look, both sides have an opportunity now. The president does and so do the Republicans. We've heard a lot of campaign happy talk. Well, now we want to see some product. 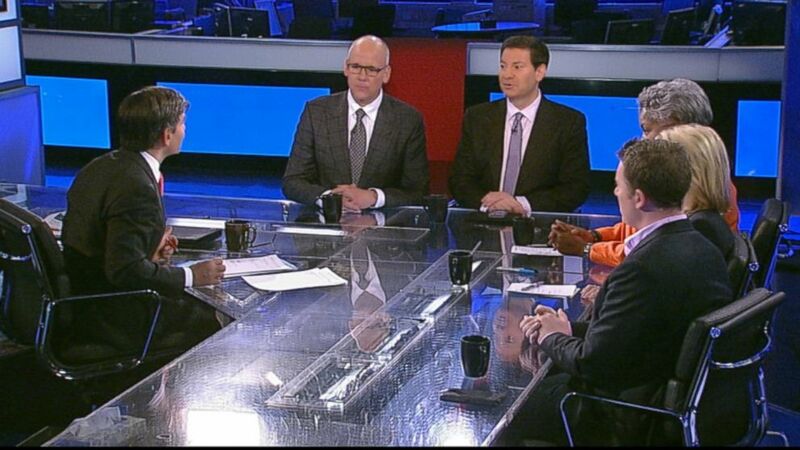 STEPHANOPOULOS: Some happy talk, John Heilemann. And we also saw some tough talk from the president on Wednesday. And the White House, you know, defying even some of their own advisers and former advisers. Going forward, they say this executive order before even giving the congress a chance to pass immigration reform. UNIDENTIFIED MALE: They are very focused on -- in that instance, in particular, they're really focused on the notion that they have let Latino voters down by delaying thus far and that they need to do something to make -- to solidify the connection of Hispanic voters, the most important voting bloc going forward to 2016 to keep them locked in to the Democratic coalition. STEPHANOPOULOS: And I guess their calculation, Donna Brazile, is that even if Republicans say there's going to be spillover onto other issues, is that that really wouldn't help the GOP so they're not going to do it. BRAZILE: No, of course not. Look, George, the Republicans have an opportunity tomorrow to pass an immigration bill. I mean, there's a bill sitting on the docket now from the Senate, 68-32. When the Republicans -- their message in 2010 was give us the House and we will fix the economy. We gave them the House and they practically did nothing. Now they say we have both the House and the Senate, we will work with the president on certain issues. I don't think it's going to happen. UNIDENTIFIED FEMALE: But you can't deny the fact that Senator Harry Reid pocket vetoed everything that came over from the House, even if it was a bad bill from the House, if he had passed a bill in the Senate and sent it to conference both sides could have worked it out and sent it to the president. STEPHANOPOULOS: Or at least tested that proposition. One of the difficulties for Speaker John Boehner is he has a much bigger majority right now, but also brought in many more conservative Tea Party members. And I think, you know, if you actually look at the Colorado race, it doesn't answer these questions about immigration, because Udall decided not to draw a contrast on that issue. Gardner, who had opposed comprehensive reform, then kind of muddied the issue when Udall decided that this wasn't the terrain he wanted to fight on. So it's really hard to tell coming out of that race in that state that has such a big Hispanic population where it's so important, it kind of remains an open question. STEPHANOPOULOS: And Mark, I know one of the ways you put it -- and I think it's a good way to look at it is are Speaker Boehner and Leader McConnell willing to take risks? What are they willing to risk to get these bills passed? HALPERIN: They're going to have to take some risks -- risk of dealing with the president, risk of being the party who are for fundamental restructuring of entitlement programs, the risk of trying to pass immigration reform for the good of their 2016 nominee, the risk of standing up to the Tea Party caucus and talk radio. There's tons of things they can do. They are unified. These are not guys known as bold risk takers who go out in public and throw down the gauntlet. They're going to have to if they want to do what's good for their politics and good for the country. UNIDENTIFIED MALE: And they're really -- the risk on one of those, because really an obvious risk right now, because you've already seen the last five days as McConnell and Boehner have been talking about at least some degree of compromise you hear the base and Republican -- the right most quadrants of talk radio already braying at the notion that do not do deals with Barack Obama, do not legislate. This is not what this election is about, this election is about saying no to Barack Obama and repealing and investigating and so on. That voice is -- those voices are already very, very, very loud right now. BRAZILE: And at 14 percent of public approval, I doubt very seriously the Republicans are going to do anything that will further damage their brand. They're going to try to make some inroads, try to move more to the middle and hopefully to try to get better position for 2016. UNIDENTIFIED FEMALE: And to make the president look unreasonable. STEPHANOPOULOS: But he didn't have much of an uproar in response, at least not yet. UNIDENTIFIED MALE: He took the risk, and the upper is minor and these new members like Cory Gardner who you talked to all are going to be part, in the Senate at least, are going to be part of what do we do that's reasonable for the party image and to try to make deals? STEPHANOPOULOS: Yeah, you just saw Cory Gardner, he took government shutdown off the table as well and didn't dig in hard on Obamacare. But Donna Brazile, we have some history here with comebacks. You saw Bill Clinton come back from impeachment, strike deals with the Republican majority in his final two years. What is the comeback strategy now for Barack Obama. BRAZILE: Well, look, pass the bourbon, he said. UNIDENTIFIED MALE: Back to the bourbon again. BRAZILE: Back to the bourbon again. You know, we keep hearing about trade. We keep hearing about tax reform. We keep hearing about another so-called grand bargain. I don't think just finding ways to appease Republicans is enough for President Obama. Part of the dropoff in Democratic support and the president's support comes from his own base. They want to see action on the economy. They want jobs. They want the president to deal with issues that impact the Middle Class. If he fails to do that he might get a little love from Republicans but not enough. STEPHANOPOULOS: It's unclear if he can do that. Ben Smith, final 30 seconds. You saw a different model from Ronald Reagan. He went to all foreign policy in his final two years after apologizing for Iran-Contra. That doesn't look like fertile ground for President Obama. SMITH: You know, I think that was to everybody's surprise President Obama's instinct from day one was to involve himself very personally in foreign policy and he's gotten kind of burned there repeatedly. He's, in some ways, I think spent a lot of that capital the other presidents have saved for those last two years. STEPHANOPOULOS: See if he gets an Iran deal, but doing exactly the opposite of what he wanted on Iraq. Another quick break. Coming up, who was helped, who was hurt most by the midterms. And what does it mean for Hillary Clinton's chances? We're going to look at 2016. STEPHANOPOULOS: The midterm elections didn't just signal a sea change in Washington, they also served as the starting gun for 2016. The roundtable here to weigh in on who was helped and who was hurt who is next out of the box after ABC's David Wright shows us all the ways it's been done before. DAVID WRIGHT, ABC NEWS CORRESPONDENT: Barack Obama may not be a lame duck yet, but unofficially the campaign to replace him has already begun. JEB BUSH, FRM. GOVERNOR OF FLORIDA: It's going to be a decision about family and can I do it joyfully? JOE BIDEN, VICE PRESIDENT OF THE UNITED STATES: I honest to god have not made up my mind. CHRIS CHRISTIE, GOV. OF NEW JERSEY: In the end, that's a decision you make in here. WRIGHT: But you can bet they're getting their ducks in a row. On average, presidential candidates tend to announce about 200 days before the Iowa Caucuses, the would mean some time next June. ANNOUNCER: Senator John Kennedy throws his hat in the presidential ring. WRIGHT: The way they announce has changed a lot since JFK held his press conference at the U.S. Senate. JOHN F. KENNEDY, 35TH PRESIDENT OF THE UNITED STATES: I am today announcing my candidacy for the presidency of the United States. WRIGHT: When Ronald Reagan announced, YouTube didn't exist, but his announcement video seems tailor made for it. REAGAN: If I'm elected, I shall regard my election as proof that the people of the United States have decided to set a new agenda. WRIGHT: A controlled environment: Hillary Clinton did the same in 2007. HILLARY CLINTON, FRM. SECRETARY OF STATE: So let the conversation begin. I have a feeling it's going to be very interesting. WRIGHT: Sometimes things don't go exactly as planned. In 1987, Pat Robertson declared his candidacy in Brooklyn, coming out to the Rocky theme only to get booed. PAT ROBERTSON, FRM. REPUBLICAN PRESIDENTIAL CANDIDATE: But I am an official candidate for the Republican nomination for the presidency of the United States. WRIGHT: In 1992, Billionaire Ross Perot was the first to do the talkshow announcement, dropping this challenge on Larry King Live. ROSS PEROT, FONDER, ELECTRONIC DATA SYSTEMS: If you're that serious, you, the people, you register me in 50 states. WRIGHT: Paving the way for John McCain on Letterman. SEN. JOHN MCCAIN, (R) ARIZONA: This is the announcement proceeding the formal announcement. JAY LENO, COMEDIAN: Well, how do you make that makes me feel? WRIGHT: And Ron Paul on GMA. REP. RON PAUL, (R) TEXAS: At this moment I'm officially announcing that I am a candidate for president. WRIGHT: Sure, there are still some traditionalists, Edwards invoking Katrina in New Orleans. JOHN EDWARDS, FRM. DEMOCRATIC PRESIDENTIAL CANDIDATE: There's so much good to be done out there and together we're going to do it. WRIGHT: Or Obama invoking Lincoln in Springfield, Illinois. OBAMA: There is a certain presumptuousness in this, a certain audacity to this announcement. WRIGHT: The one thing not to expect this time around, any mention at all of the word audacity, although plenty will be calling for change. STEPHANOPOULOS: Great look back. I should issue the invitation right now. Any candidate who wants to announce here on GMA we're happy to have you at any time. But let's talk a little bit more about what the results mean for these various candidates. Mark Halperin, Hillary of course dominating right now. And there's two schools of thought on whether the president's defeat helps her or hurts her. Where do you come down? HALPERIN: Well, it helps her certainly because the party needs a savior. And right now, as Dan Balz piece we mentioned earlier points out, there's not a lot of other people in the party right now in congress, amongst the governors, who can represent the future. She's powerful as someone with a big following on social media who can raise a lot of money who is nationally, internationally known. Her operation does not deal with new data very well. They obsess over everything. They overthink things. She's now got a complicated landscape. Does she oppose Republicans in congress. Is she the candidate that's going to say I'm going to win things back for the Democrats or is she the candidate who says I can work with Republicans. I can break the gridlock. UNIDENTIFIED FEMALE: Yeah,, I'm still not convinced. I mean, first of all who wants the job is my thinking. But think about it, is that now she can run. She doesn't have to run so much against President Obama, she can run against a Republican House and a Republican Senate. So she doesn't have to offend the Obama base by saying basically that he didn't do a good job and that he ignored you. So she's got -- so she's strategically she's in a much better position. HALPERIN: But people are sick of gridlock. You start running against the party that's just taking power. That turns some people off. BRAZILE: They want a plan. They want a plan for the economy. And I think Hillary Clinton has an opportunity to really make a compelling case of how we can grow the economy in this so-called era of inequality. So, I think she should just sit back, let all of the dust settle, let the Democrats figure out what happened and then some time in the spring emerge with a plan that could really bring this country together. So I think she should just sit back, let all of the dust settle, let the Democrats figure out what happened and then some time in the spring emerge with a plan that could really bring this country together. STEPHANOPOULOS: Even when she sits back, all the attention comes to her. STEPHANOPOULOS: You know, we have this partnership with Facebook which kind of tracks -- tries to track the sentiment, called the Sentometer, over the course of the days leading up to the midterm elections. You see right there, she got about 100,000 more mentions than Chris Christie, double Ted Cruz, Rand Paul, Jeb Bush far behind now. Ben Smith, you all are having a partnership with Facebook, as well, on BuzzFeed. That's the volume. What about the quality of the interaction? SMITH: I mean I think what's so interesting is that -- is that if you just do -- we're just getting the first slices of this data. And, you know, you see really unusual things, like Joe Biden is the best regarded pol -- of any of these politicians on there. I mean I think -- and I think the really interesting thing to see is going to be the -- you know, these vast new networks. Facebook -- there's something like 185 million Americans on it. That's a lot more than any TV ad campaign is going to reach. They favor different stuff. They favor spontaneity. They favor goofiness. I mean the ice bucket challenge was this strange thing that came out of nowhere and spread, you know, to -- at a scale that really like wasn't doable without billions of dollars in TV advertising before. STEPHANOPOULOS: And, you know, that leads to a question, Jon Heilemann, for -- for Chris Christie on the Republican side, probably a big winner on Tuesday night, the chair of the Republican Governor's Association. STEPHANOPOULOS: Including in Democratic states. And he's going to see whether his kind of straight-talking sit down and shut up style works. HEILEMANN: Yes. He's going to -- we're going to find out about that. If he decides to run, obviously, he's waiting, like a lot of people in the Republican Party is waiting to see whether Jeb Bush is going to run. STEPHANOPOULOS: Can he not run if Jeb runs? HEILEMANN: -- favorite, who's going to get the -- the donor class, how the donor class is going to go on that, because that matters a lot, obviously, in the Republican primary. VAN SUSTEREN: And took Medicaid expansion, which was a -- is a big deal in that state. HEILEMANN: -- by moderating, that's why he won by 31 points, because he ran kind of to the center. And then you've got Scott Walker, who was on the back of the precipice of having his whole political future obliterated and ended up winning a relatively convincing -- convincing victory in Wisconsin and now at least can take a look at it. VAN SUSTEREN: You know -- you know what the problem, though, that Governor Christie has, I mean we all sort of look like, well, he's the head of the Republican governors and the Republicans had a big night. VAN SUSTEREN: -- since that time he's been governor. That doesn't look good. So you're -- so I -- I think that many of the voters who are going to be looking for -- toward governors and when they look toward governors, they're going to actually dig in and look at the numbers, you know, what -- what did the governors really do running the states, because people care about the economy. You know, the war on women, women, I think, the independent women, they weren't talking about the war on women and that sort of turned out to be a little bit of sort of a silly slogan, because the -- you know, women are more concerned with the kid in their basement with $100,000 student loan who can't get a job. Meanwhile, you know, the Republicans are walking around with that slogan. STEPHANOPOULOS: You know, you've got a lot of senators looking at it, as well, Ben Smith. STEPHANOPOULOS: You've still got Rand Paul out there, Ted Cruz out there, Marco Rubio waiting to see what Jeb Bush does, as well. SMITH: Yes, I mean these are all -- it's a wide open -- I mean one thing that I was just going to say about the sentiment data around Chris Christie, he, um, it's a little bit positive, pretty split, very negative inside New Jersey. UNIDENTIFIED MALE: -- a big, strong Republican field. But I'll tell you, there's a vulnerability when you think about matching up with Hillary Clinton -- foreign policy and national security. Even these senators, they're mostly younger, even Jeb Bush does not have a defined foreign policy vision, has the legacy of his brother. UNIDENTIFIED MALE: -- at that stuff. STEPHANOPOULOS: -- gets some kind of a challenge that really draws blood. BRAZILE: Well, no, but I -- I do see Elizabeth Warren, who is very popular with the Democratic base. She has a message that resonates with people. BRAZILE: -- Hillary has a hard road still. STEPHANOPOULOS: Say their names, because we have five seconds left. VAN SUSTEREN: Well, Governor O'Malley, but also Governor -- Senator Manchin, who was governor of West Virginia, a moderate Democrat. UNIDENTIFIED MALE: Neither will run again. STEPHANOPOULOS: -- within the Democratic primaries there. Up next, 25 years since the fall of the Berlin Wall, our Sunday Spotlight shines on that earthshaking moment in history after this from our ABC stations. STEPHANOPOULOS: In THIS WEEK'S Sunday Spotlight, a huge day in history. Twenty-five years ago today, the Berlin Wall came down. The concrete barrier that symbolized the cold war has now been down for nearly as long as it was up, and it's been replaced right now by a new wall -- 8,000 glowing balloons stretching more than nine miles across Berlin. UNIDENTIFIED MALE: The Wall has suddenly become irrelevant. UNIDENTIFIED MALE: Shouted, sang, laughed and cried. It was a moment in history. DONVAN: -- because it finally literally came down, it's hard to see now how unlikely, even impossible, it all seems. Back when the Berlin Wall stood as this permanent impermeable thing and the cold war that it defined had no way to end. The Wall had brought one president to Berlin in 1963. DONVAN: And a full generation later, another. DONVAN: So many East Berliners risked their lives trying to defeat it. Some made it across, many were gunned down. UNIDENTIFIED FEMALE: Like a planet far, far away. DONVAN: Katarina von Muenster (ph), born in East Berlin and a teenager there in the '80s, could see the Wall from her bedroom window, that and also one of these -- right at eye level. (on camera): So you could see the guard right from your bedroom window? DONVAN: But you know he was in there. (voice-over): Being watched. It was how life was lived. But that ended when the communist leadership finally flinched and East Berliners, sensing it, rushed for the gates. And this time, nobody gunned them down. UNIDENTIFIED MALE: Oh, I -- I happy, happy, happy. Yes. DONVAN: This was not just a German celebration. The whole world wanted in. New Yorker Joe Crowley was traveling in Europe and he got himself there with a borrowed hammer. He went at the Wall, too. REP. JOE CROWLEY (D), NEW YORK: It was almost like color and black and white. CROWLEY: I don't think I was able to really to fully -- really be cognizant of exactly just the magnitude of it all. DONVAN: It was that the world changed that night in ways that still take Katarina's breath away, like her being able to move to America and having an American daughter. None of what happened back then is, for her, an abstraction. UNIDENTIFIED FEMALE: Yes, and also to, you know, pass it on to the next generation, that you really, you know, you have to defend freedom. You cannot take it for granted. DONVAN (on camera): Well, you lived it. UNIDENTIFIED FEMALE: It was really a miracle. DONVAN (voice-over): For THIS WEEK, John Donvan, ABC News, Washington. STEPHANOPOULOS: What a lovely remembrance. And we end with some good news. The Pentagon did not release the names of any service members killed in Afghanistan or Iraq this week. And on Veterans Day this Tuesday, all of us will pause to recognize those who served. You can send a message of thanks to a special vet on our Facebook page. Use the hash tag, honoravet. Check out "World News Tonight" and I'll see you tomorrow on "GMA."